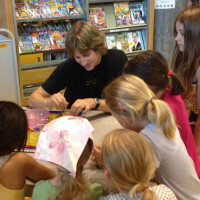 Cuddly science is a series of hands-on workshops, performances and science-craft tutorials designed to inspire kids to explore, create, and learn. Using a variety of techniques to engage a wide range of interests and abilities, the puppets say: SCIENCE IS FOR EVERYONE!!! Adaptable with a range of simple experiments, colouring fact sheets, take home crafts, board and card games, our workshops center on the puppets, who explain and converse with the children. This includes tales of jumping out of the window to escape school and why Einstein did not wear socks! 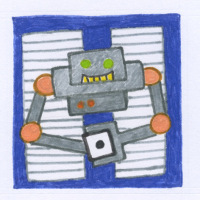 Cuddly Science is created and run by Sarah Snell-Pym, artist and writer and Alaric Snell-Pym, game designer and engineer. 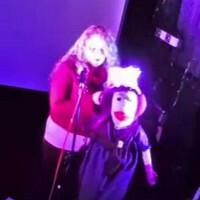 The idea was born when Sarah did a Science Communication PGC course at The University of the West of England, starting with one puppet Ada Lovelace, a programming pioneer from the victorian era. It has since expanded with the aim of including as many aspects of science, engineering, maths (and more) as possible. Appearing at a number of festivals including The British Science Festival and during British Science and Engineering Week, the puppets also have a side line in Science Comedy - for grown up ears only! Take a look at our gallery to see what we've been up to! Hands on DNA extraction (from soft fruit!) and discovery of the early days of biological science, learning with the Darwin puppet about how he hated school and preferred climbing trees! This workshop is experiment-led and allows the children to suggest what they will find and compare that with what the actual results are. It can include ethical debate for older groups, and longer running workshops include more solution based experiments such as rubber ball making. Using junk modelling and upcycling, this workshop focusses on the design of space craft and the challenges involved in getting into and staying in space, the structure of the solar system, colonisation of Mars, debate on planetary exploration and the history of astronomy. 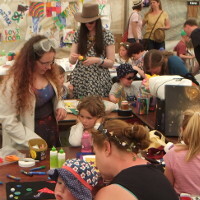 With younger children or groups outside of formal education the crafting is the main focus, allowing the workshop participants to ask questions and explore in their own way at their own pace, supported by the physics and astronomy puppets. Uncover artefacts and fossils whilst learning about the history of paleontology and the extinction of the dinosaurs, including sand sculpting and story play. Debate the causes of the extinction and the connection between bird flight and dinosuars. 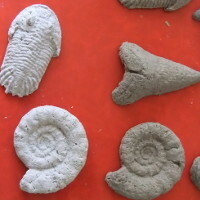 For longer duration sessions, the children may also get to create their own castings of fossils. This workshop focuses on hands on exploration and discovery by the children as they learn the techniques actually used in the field by archeologists and paleotonolgists, all aided by interactions with the Fossil Finding Puppets. 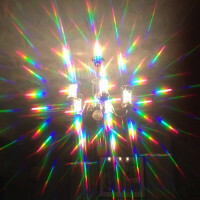 Discover optics and the behaviour of light using smoke chambers, funky glasses, magnifying lenses and ball pond balls - not to mention the chance to find out from puppet Einstein why he wore no socks! This workshop focuses on teaching via self observation and encourages the children to explore effects and think about uses of what they have found. 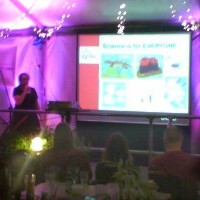 Cuddly Science also does a range of talks and presentations which can be tailored to all events and audiences. Talks have ranged from comedic 10 minute vignettes to hour-long presentations on the history of specific scientists and their impact on current events. Workshops and talks often come with puppet performance and interactions, but we also offer science comedy for grown-ups only and science poetry/spoken word, including music and visual art.